Press Release - Class Is Back In Session! If you followed me on Twitter a year or so back, you know I am a bit of a Doctor Who fan and I got very excited over Class. i really enjoyed how dark and gritty it was and was a little disappointed when it was axed (although the way BBC Three and BBC one treated it, I'm not surprised). So, imagine my shock and delight when Big Finish have announced that they are going to release Class audio tales! Big Finish is best known for creating Doctor Who audio plays, but also release Torchwood, Blake 7, UNIT, Avengers and other brands, so this is in safe hands. I'm surprise intrigued and excited to see what Big Finish is going to do with these characters and I can't wait to dive in when these are released! Let me just share with you the press release I was sent via the lovely Paddy from Big Finish sent me! If you want more info, check out Big Finish's website. I have far too many eProofs on my kindle. And I'm trying, slowly and surely, to go through them - whether that is reading them or going "What was I thinking?!". 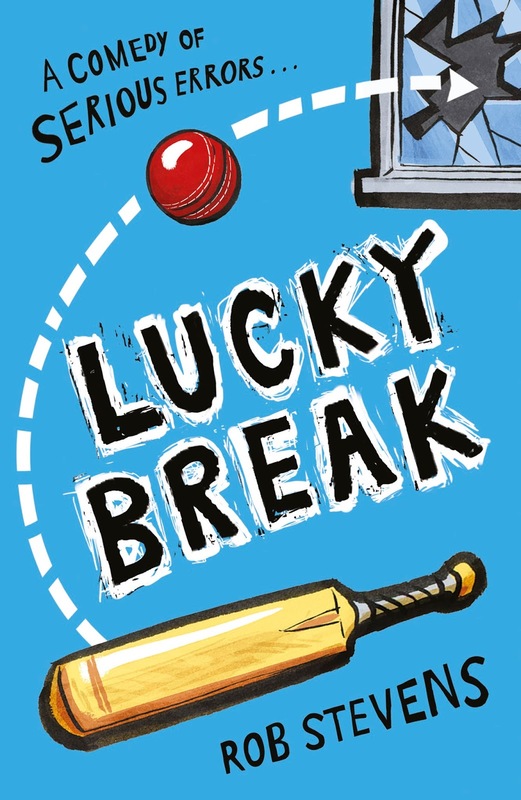 So, when I saw this on NetGalley a month or so, I went "Oooh" over it. 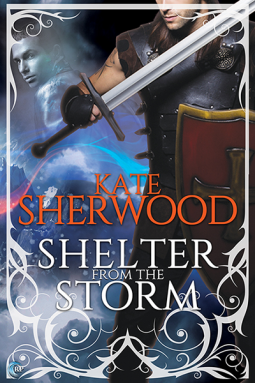 This is an novella and is both LGBT and fantasy. All perfect for me at the moment. Grif is tired. So, when he walks into the mountains in a snow storm, he isn't worried about surviving or not. But when he's indifference leaves him unconscious, Kieran finds him and nurses him back to health. Kieran is on an important mission and he doesn't need Grif, telling him he's not prepared for the winter mountains. But the two men are stuck together, with food being scarce and the weather not to be trusted. The two have to learn to depend on each other. But could this lead to something more...? This is a sorbet read for me. It refresh my reading pallet for me as I've been quite lucky with what I've read and listened to over the past few weeks. The story itself was ok. It moved at a good pace, the characters were engaging and it held my interest while reading. Plus, it is an adult reading so it does have language and scenes that are more suitable for an adult audience. However, it didn't set my world on fire. The plot is basically the entire synopsis and once every chapter, I would groan over something. Plus, the story is meant to be a fantasy, but it is so thin, am surprise this is classed as a fantasy and not historical. It was a sorbet of a read for me, but I think other people will enjoy. I actually liking doing this, though with my change of real-life situation over the past 6 or so months means I read a little less than I normally do, which means I listen to less music than normal. But, am not going to give this up yet, as I keep seeming to discover new artists and songs of late and they just click with what I'm reading. I think we all have a soft spot for Greek mythology. I do. I love myths in general and, if I wasn't scared of debts and everything else that comes with going to university, I think I would've loved to study myths (which would have been Classics, I think) or English. But I never went, but that's getting away from the point. 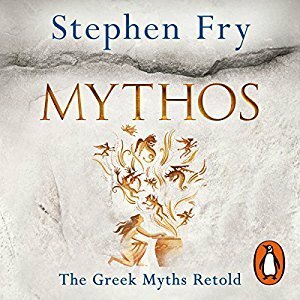 Mythos is Stephen Fry's attempt to retell some Greek myths. From the dawn of creation, the war between the Titans and the Olympians, the creation of mankind through to the myths told within the Gold and Silver Ages of Greece. There's not much else to say about what the book is about as it's just that: Stephen Fry retelling some Greek myths. And guess what: I adore this. So much so, I am very tempted to buy the hardback edition of this to use for research or when the mood takes me to reread/relearn the myths. I didn't know them all, so there was always a new myth to discover and me to go "Oh!" over. I devoured this audiobook and Stephen is a wonderful narrator. I love him reading Harry Potter and it carried over. Plus, when the author reads their own work, there's something more special about it. They get the rhythm of the story and the humour, and Stephen does add a lot of humour to the myths he decides to retell. He admits from the start that he tries to put the myths in an order to make it easier for himself and the reader to understand, and this does help with him doing this. There are two faults with this, and they aren't really Stephen's fault. The first is the names. There are so many of them. There are gods, titans, demi-gods, nymphs, furies, humans, and that's to name a few. It can be overwhelming if you're not on the ball. I might have to do a relisten myself to get them straight in my own head. The second is length. 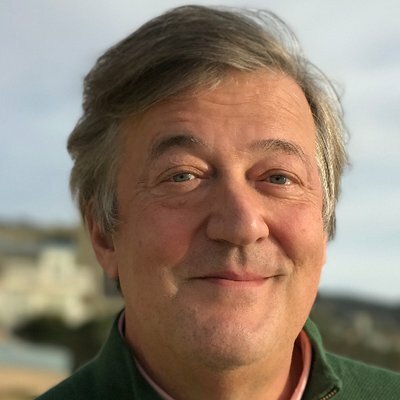 Like I said before, Stephen tackles the gods and their lengths and he tackles the myths told from the beginning to creation all the way through the Golden and Silver Ages. He goes into a little more depth with the myths he tackles. But, because of this, ee doesn't touch the three other stages in Geek myths - Bronze, Heroic and Iron - so he doesn't tackle Hercules, Jason, Troy and other myths we're probably more aware of. But this gives me a small hope that maybe, just maybe, that Stephen will do a sequel and tackle these ages. I adore this and I do hope Stephen does do another book about Greek myths. If not, I will probably go on the prowl for other books that tackle myths (hopefully Egyptian as I am fascinated with Egyptian gods, but open to read Roman, Native American, Indigenous Australians - in fact, will happily read any myths and legends. Recommend to me, dear readers!). My copy of Neil Gaiman's Norse Mythology is getting me the eye - should I be worried? I have a contest for you guys! And it's not YA. I know! But I want to try new things with my reading and, as you guys know, I like dipping in and out of crime and this author keeps catching my eye so, as soon as I saw this on BookBridgr, I knew it was time! Death Is Not Enough is the sixth book in the Baltimore series (but I've been told you can read these as standalones) and this sounds like a neck-breaker of a read! Defence attorney Thomas Thorne knows violence all his life. He has overcome these with determination and is ready to left his guard down and finally let the woman he always admire from afar into his life. This sounds dark and Mctwisty as heck. Perfect for me! I can't wait to find time to dive into this novel. 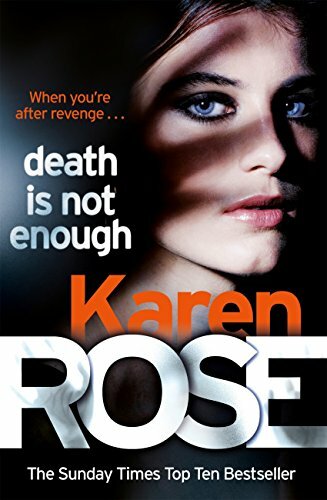 But, to wet my appetite, the lovely people at Headline are allowing me to do a small contest to give away a copy of Death Is Not Enough. Ok, boring stuff now. I have only one copy to give away and this contest is a UK and Ireland only contest. This contest will close at 3pm this coming Sunday (Sunday 27th May 2018). The winner will be chosen at random via random.org. I will tweet and email the winner to get their address so the publisher can send the winner their copy of Death Is Not Enough. If you're going to enter, I wish you good luck and hope that the odds are in your favour! Agnieszka loves her valley. She loves her beautiful friend, Kasia, and she's bracing herself, for it's nearly time for the Choosing. The Choosing, where the Dragon comes and takes a girl to his tower for ten years. It's his exchange for keeping the Wood and it's corruption. And everyone in the village knows that it's Kasia who the Dragon is going to choose - she's beautiful, clever, ready to go and have an adventure. But when he comes to the village, it's not Kasia he chooses... it's Agnieszka. On the surface, this book sounds like it's a reimagining of Beauty and the Beast (which is my jam! ), but set within a Polish or Russian fairytale, which sounds intriguing or I should read more outside UK/USA versions. But this story... For me, it's very much a story of two halves. The first half wasn't to my taste while the second half was more up my street. And I know why, and I will explain a little further down. No, let's get into that now. This story's pacing was the biggest problem I have. I have read and listened and watched other people's reactions to this book, and am surprised over the fact they all say the pacing was relentless. Because I don't feel that way. 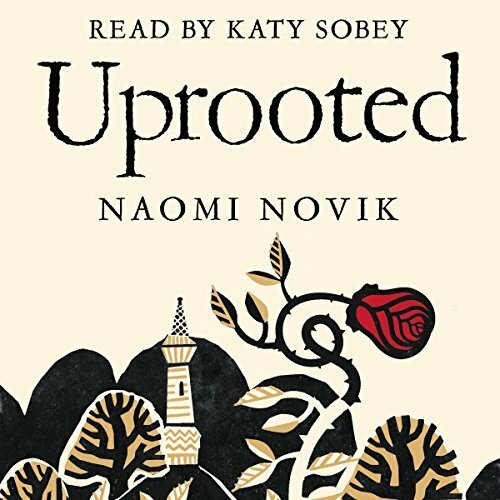 The first half of this audiobook was, to me, slow and a bit of a slog to go through. I get why as this half to place over a long period of times - months, maybe years. And I get why - we need world building in place, we need to understand the basic of magic (it's vague, and it works for this fairy-tale feel that this story has), events happen which are solved a chapter or two later, and we need to get understand Agnieszka's skin. But it dragged for me - I don't mind if a story is set over a long period of time, but I need something to keep me interested. I need something to keep pulling me back, and there were several points when I did consider quitting this audiobook. Around the halfway point, something happened and, though I still struggled, I liked the direction the story began to take and the promise of "This is getting better" kept me coming back. Plus, the second half of the book, took place over a much shorter time frame - a fortnight, maybe a month? - and I just prefer a faster pace. Another problem I had was the romance. This book has romance in it, but it's more a background thing. But, I didn't see it. I kept questioning the romance. I wondered "why?" over it. Why does Agnieszka like the Dragon? When it did start for both of them? Is it because of their magic? Is it because of Stockholm Syndrome? Are we meant to like the Dragon, because he's a mean, cruel, jack***? Are we being led down the garden path with Angieszka and the Dragon, when the romance is actually Angieszka and Kasia (even though I don't want that as I really like this strong female friendship)? I kept questioning it and I didn't believe it. I think my problem overall is there was potential and it just fell short for me. It was a bit wishy-washy. 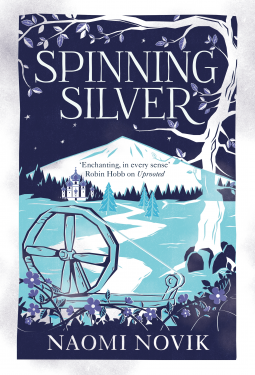 But, I did enjoy the latter half of the book - I like the pacing, I liked the action, I liked the magic and this latter half is the reason I am thinking of reading the companion novel, Spinning Silver, which is set in this world but not with these characters. Plus, it's a reimagining of Rumplestiltskin, which I have never read so this is going to be intriguing. Oh, Cassandra Clare. Every time I think I am through with you and the Shadowhunter world, I somehow get sucked back in. Now, I read the eNovella, Son of the Dawn, while I was on holiday in Cyprus (write-up for that is here), but I did wonder whether I was done with the world or not. Lord of Shadows was sent to me by the publisher, Simon and Schuster, so I knew I was going to read this. I just wasn't sure when or if I wanted to. It's a beast of a book and anything longer than 500 pages makes me nervous. But after my holiday in Cyprus, I wasn't sure what to read. I felt a bit in a weird reading funk and I want to keep my fun reading groove going. So, I grabbed a bunch of books off my TBR shelves and went to my Other Half, saying "Pick one". After skimming a few blurbs, he chose Lord of Shadows because it sounded my kind of weird. But even that might not be enough when it becomes clear that enemies are on all sides. The Unseelie King - the Lord of Shadows - want the Black Volume of the Dead. With this, he plans to break the Cold Peace and rule over both the Unseelie and Seelie Courts. I am going to say this right off the bat: I am still in two minds about this trilogy. It doesn't grab me the same way the first Mortal Instruments books and Infernal Devices trilogy did. There is something that doesn't click with me. Maybe if I read the latter Mortal Instruments books, I would be sucked in but I don't feel that need to read City of Fallen Angels, City of Lost Souls or City of Heavenly Fire. I've said this before and I will say this again, Cassandra Clare is awesome with diversity. Like I said in my Lady Midnight write-up, she has diversity left and right and it feels nature. It doesn't feel shoehorned in. And it grows with this book. We have a character who is on the autism spectrum, a character who is suffering mental health issue, a underage carer, Mexican characters, characters who cover the LGBT spectrum and it's glorious! It's wonderful to read this and it not feel like the author is ticking each of the diversity and representation boxes. This is one of this trilogy's strongest qualities. Give a warm Pewter Wolf welcome to author (and pilot!) Rob Stevens. His latest book has just been released and it sounds like one that will make you laugh and cry in equal measure. Leon's twin, Lenny, had the coolest imagination. The best. But Lenny died a year ago and Leon and his family haven't been the same since. So when Leon meets Arnold at school, Leon's not sure what to make of the new boy: he doesn't understand jokes or gets sarcasm and can be completely blunt. But the two make an unlikely friendship and before long, the pair keep finding themselves in trouble. And within the trouble the two cause, is Arnold helping Leon comes to terms with Lenny's death and move forward with his life? This sounds like one of the those books I could probably read super fast and go "Oh, it's tackled this and this and I like how he did that! ", hence why I jumped at the chance to have Rob on the blog when Harriet at Andersen Press asked me. Now, because Rob is a hugely busy pilot (he might be in the air, flying a plane RIGHT NOW! Now, as you're reading my tiny little post! ), he wrote this for me. A small list of authors that write humour brilliant (writing comedy is hard because humour is so subjective, depending on the person listening/reading the joke! ), but hopefully, you will read this list and check out these authors! 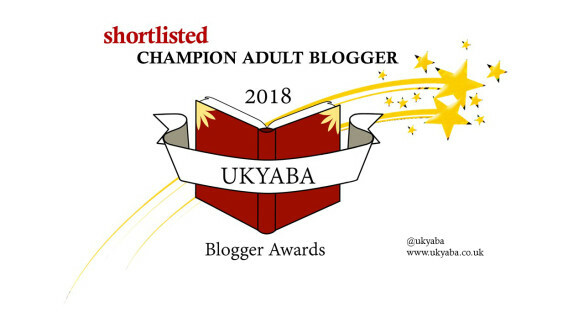 Anyway, before I go, wanna say thank you to Rob for writing this blog post, even though I know he's super busy and thank you to Harriet at Andersen for asking me if I wanted to be involved. Thank you! Now, over to Rob and his fave funny authors! I Was Born For This Blog Tour Music Alert! As you guys know, I love listening to music while I read. Sometimes, that perfect song comes along that just click with the book in one form or other: the story, the characters (or one in particular). 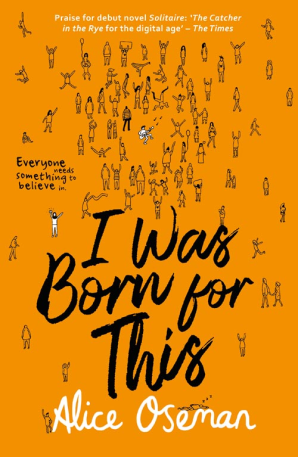 So, when I was asked if I wanted to be involved in the I Was Born For This blog tour, I jumped at the chance. Books and music! And I am a little obsessed with Alice's Heartstopper (if you haven't read it, YOU MUST). I mean, HOW COULD I REFUSE?! 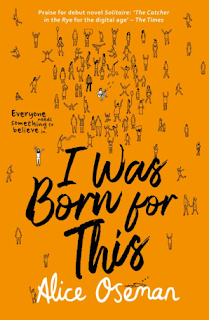 I don't want to say too much about I Was Born for This as I am playing to read this book sometime this month and I want to go in as blind as I can, but it has music, fandom, friendship and facing up to reality. Before I throw you over to Alice, I wanna thank Alice for doing this and letting us snoop into her music (she's even created a Spotify playlist so, if you just can't wait, CHECK THIS OUT!!!) and Nina for organising this tour! It's been a blast to follow and discover new music and some old music I forgotten about. Now, onto the good stuff! 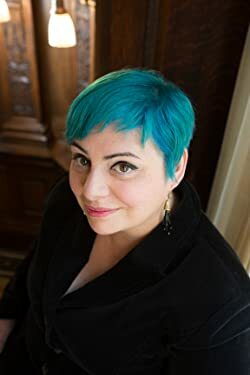 I am excited to have Kim Culbertson on The Pewter Wolf today! 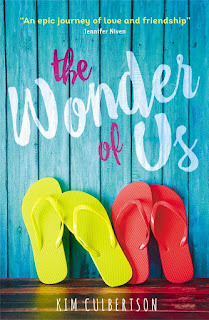 Kim is the author of The Wonder of Us, a summery read that I think some of you guys will devour by the pool or on the beach with a cocktail in your hand. 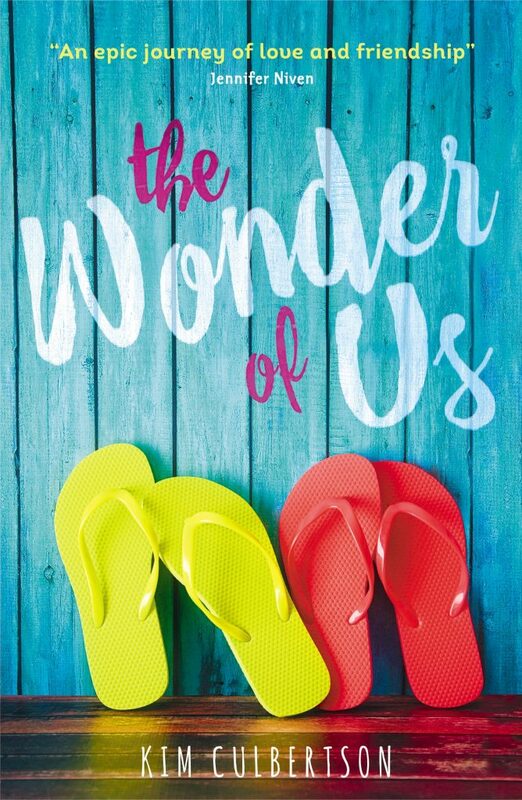 The Wonder of Us follow two friends - Riya and Abby - two best friends who been friends ship preschool. But when Riya and her family move to Germany and Abby stays in California, their friendship comes under strain so when Riya proposes a two week, six country adventure to save their friendship, they both jump at it. But they haven't spoken to each other in weeks and both girls are keep secrets. Can this holiday really save their friendship or does growing up really mean growing apart? It feels like a fun read, and because it feels very summery, when Kirsten from Walker asked if I wanted to do something on the blog, I jumped out it. I need a bit more fun on this blog, me thinks. And what I got back from Kirsten is this yummy post from Kim, chatting about summer reads, which I think some of you guys will love! So, before I hand it over to Kim, two small things. First, thank you Kim for writing this post - I know you must be busy but thank you! And thank you Kirsten for emailing me and me going "Did I email you about this? My memory is ruined!" And if you want to find Kim online, check her at kimculbertson.com or on Twitter at @kculberston. Now, over to Kim to talk her summer reads! Why, hello y'all! 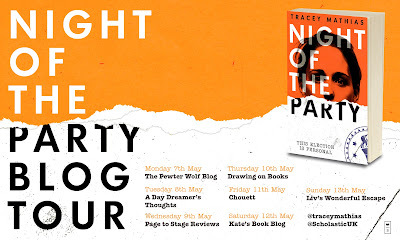 Welcome to the first stop in the Night of the Party blog tour! Yes, I am kicking this tour off - not sure if this was a smart idea from Scholastic or not, but let's getting this party started! ... don't give me that look! I had to put a terrible pun in this post, somewhere! Anyway, Night of the Party is a post-Brexit thriller, where we follow Zara. Zara who is dating Ash. Zara who is keeping secrets from Ash. She's the only person who knows what happened the night her friend, Sophie, died. But she can't tell anyone, because she's an Illegal - she and her family were born outside the UK and if the Government, ruled by The Party, find out, she and her family will be arrested on the spot and deported, and failing to report an Illegal is a crime in itself. Doesn't it sound messed-up? RIGHT UP MY STREET! I can't WAIT to sink my teeth into this book! 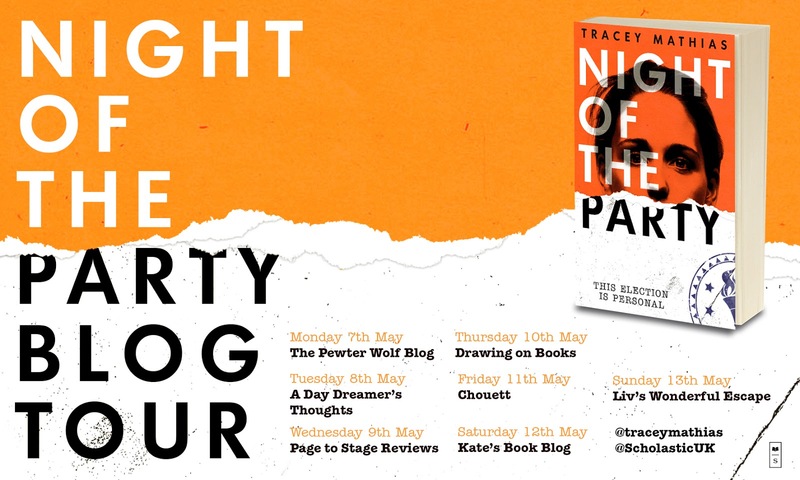 To kickstart the tour, Tracey Mathias has kindly written a tiny piece about how Night of the Party changed over the course of two years as she wrote it due to the UK politics! But before I hand you over to Tracey, I just want to thank Tracey for finding time to write this - it's really interesting to read this! 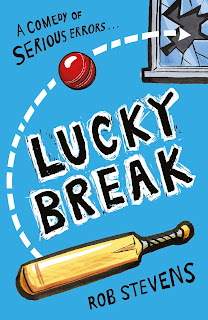 - and for Rachel at Scholastic who asked if I wanted to be involved in this tour! If you want to check Tracey's online home, go to either traceymathias.wordpress.com or @traceymathias. Now, with that out of the way, over to Tracey! I read this on the last few days of my Cyprus holiday, on my plane ride back and the day after. Yes, this was read in April and we are now in May but I pushed this back a few weeks (though if you look at my Goodreads and NetGalley, I have put the review up) because I didn't want to overwhelm you guys with reviews/write-ups and I don't like posting things up on the weekend (I know, I am weird book blogger) so it's now here, in May. And before I go any further, I'm not much of a fairy fan. I don't mind reading them - I read Cassandra Clare and her books have fairies in them, have read the first two books in Julie Kagawa's Iron Fey series many years ago (here are the reviews for Iron King and Iron Daughter) and a year or two back, I did read Holly Black's Darkest Part of the Forest, which was ok - I can't honest remember much from it barring it having a dark fairy tale quality to it and having an gay romance at its twisted heart, which I liked. 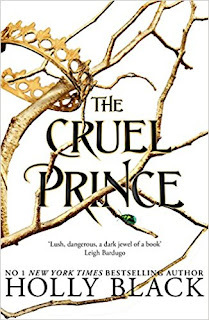 But everyone has been excited and raving over Cruel Prince! Even I got catch up with the buzz and requested an eProof of this, but due to my fantasy reading slump, I haven't gone near it. But, before I went on holiday to Cyprus, I was chatting to Olivia from That Fiction Life on instagram about Taken Moon candles and Cruel Prince was mentioned. 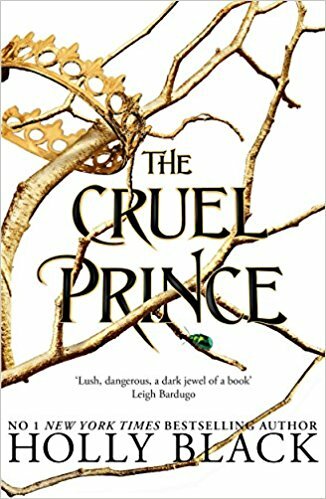 When I was on holiday, and was finishing Long Way To A Small Angry Planet, I wondered what to read next when, out of nowhere, my brain started chanting "Cruel Prince!" So, I read it. And here we go! But Court is full of backstabbing and political twistings of truth (fairies can not lie, but they are experts in telling the truth that reveals everything and nothing), and Jude will have to do unthinkable things to protect her sisters and Faerie. Where do I start with this? This book is crazy. I kinda expected this as I was reading a fairy book and in most books that contain fairies, they are dark and tricksters. But these fairies are violent and terrifying at times, while hugely political and the twists/betrayals kept the book moving fast and I never felt settled on anything the characters said or did. The characters themselves are intriguing. The fairies, like I said, are dark, blood-thirsty and manipulative. But so are the humans. Jude, our main character who's telling the story, is hugely flawed and manipulative herself. She's more of an anti-hero than I expected (no one warned me out that! ), but she is so flawed and damaged that she does things then changes her mind with no real thought, she made reading this novel unpredictable and in an unpredictable world of the fey, this makes this a gripping, terrifying and compelling read. Most twists, I saw or suspected coming, but there was a few near the end that made my jaw drop and I have to give Holly Black a huge applaud as I was so blindsided by them, I knew I had to read the sequel, The Wicked King, just to see how on earth the characters were going to recover from them! Most things worked for me and made me click through my kindle over a course of four/five days. However, there were one or two things that did grate on me slightly. The first was names. For the first 15-20%, I found it really hard to connect with the characters. It was because it was dark and I had to find my "in" with Jude, but the main thing was the names. There are so many names to get in your head and to keep straight in your head. I imagine the Court to be small so everyone knows everyone, but it took a good while for the names to sink in my head and them to stick. Once they did, I was flying! The second was the romance. Yes, there is a bit of romance in here. And it's hard to describe how I feel about them. One made me go "Yuck" over it and the second was so complicated that I am weirdly intrigued to see what Holly is going to do with the characters. It can go one of two or three ways. None of them are good. A mini-review of sorts from when I was on holiday in Cyprus (yes, am still on that! 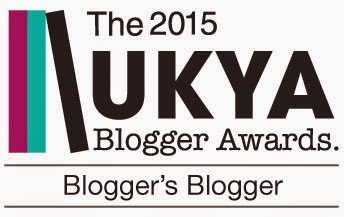 I don't want to overwhelm you with write-ups this month. Next month might be a different thing but am easing you in!). This came as a surprise from the lovely John from Walker. 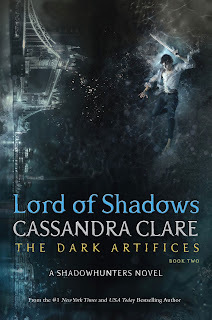 A few months back at the #WalkerYA Blogger Event (write-up here if you missed it), Walker announced that they will be publishing the Ghosts of The Shadow Market, an anthology set in Cassandra Clare's Shadowhunters world. I remember going "Oooh" over this and didn't think anything much from it till just before my Cyprus holiday when John emailed, asking if I wanted to read this. I went yes and, when I was on holiday, I got a iBook code for this and, once I got myself on wifi, I download this and read this as quickly as I could. I like the Shadowhunter world. 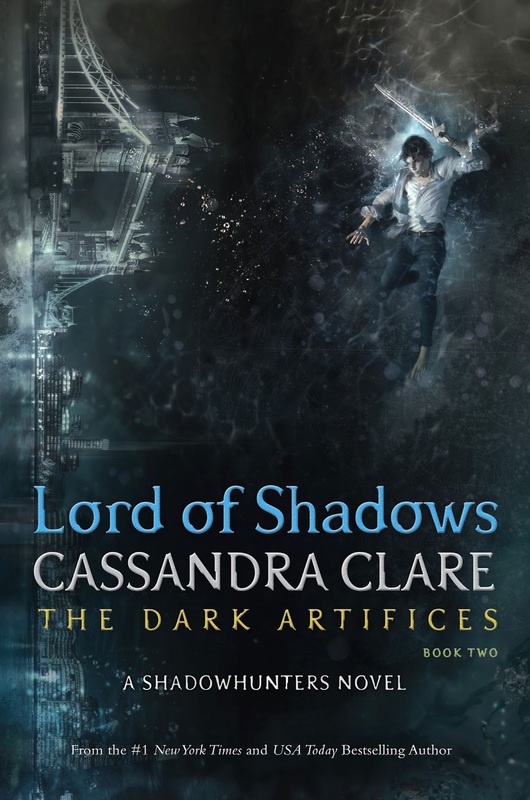 I'm not as up to date with the world compared to other Shadowhunter fans (I haven't read the latter three Mortal Instruments books [out of fear/me thinking those characters's stories are done for me] nor have I read Lord of Shadows. Not yet but hopefully will read before Queen of Air and Darkness is published at the end of the year), and this was a nice story to read. I read it in two sittings (the first before I went to bed and the second when I woke up the following morning). It felt like returning to an old friend. Fans for Jem, Jace, Alec and Isabelle will enjoy this nugget of what their lives was like the years before City of Bones. The little jem that I enjoyed hugely was the bonus material, Not for Humans, written by Cassandra Clare and Holly Black. It's only a few page longs and set a few days prior to City of Bones but I devoured this and just wanted more. If this is what Holly and Cassandra writing together is like, I need to get my rear in gear and read their co-author series, Magisterium. But I had a niggle with this. 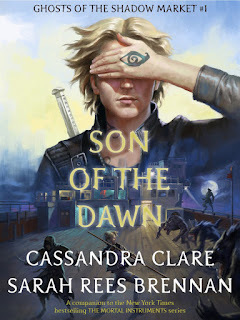 Maybe it's me, but as I was reading this, I couldn't get away from the feeling that this didn't feel like Cassandra Clare writing, but this was Sarah Rees Brennan. I understand this is a co-authored story, but it feels a bit like Cursed Child in a sense where these are the characters created by the main author, yet someone else is using them and it feels off. I think I have this problem in the past when Sarah Rees Brennan co-writing a Shadowhunter novella. I think it's her writing and I don't click with it. It's not her problem, it's mine. Ok, let me explain why I'm writing to you. 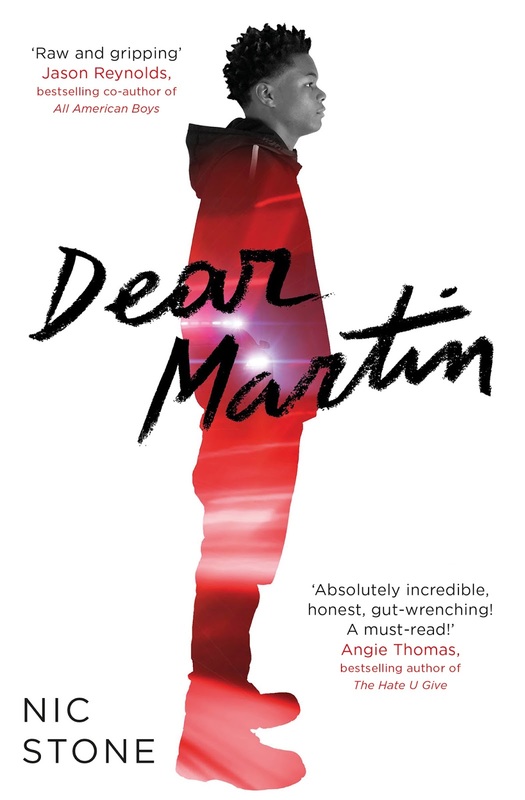 I was asked by the lovely Eve at Simon and Schuster a few weeks back if I wanted to be involved in a blog tour for a book called Dear Martin, written by Nic Stone. It felt like a sign when I got the email as it was the fifty anniversary of your death (sorry to be morbid while writing to you) and, in the book, the main character writes letters to you after he is arrested by an off-duty white police officer and, after the event, something happens involving another white police officer, and we see how the main character copes with everything that happens. 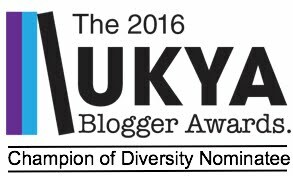 Which means I should write about the Black Lives Matter movement. Or gun control in the US. Brexit. The current US President. How we're killing the planet. Issues within the LGBT+ community. Why we want superheroes in our lives, now more than ever. The environment. 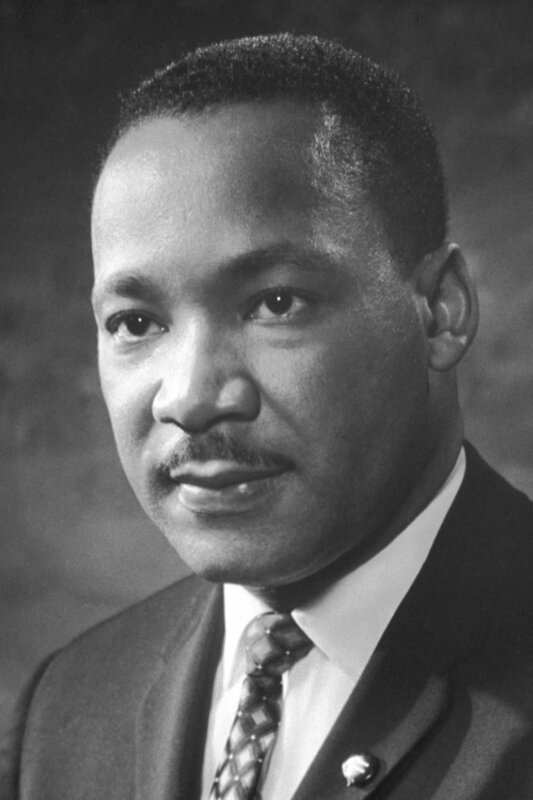 I could research your life and your legacy as well as other inspiring people. I could write to you. about anything. Anything. So, why is it so hard to do so? "We all remember the bedtime stories of our childhood. 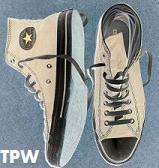 The shoe fits Cinderella, the frog turns into prince, Sleeping Beauty is awakened by a kiss. Once upon a time, and then they lived happily ever after. Fairy tales, the stuff of dreams. The problem is, fairy tales don't come true. It's the other stories. The ones that begin with dark and stormy nights and end in the unspeakable. It's the nightmares that always seem to become reality." A few years ago, I would have said this line was rubbish. It was true for some people, up to a point, I would argue. But it's not true to everyone. But now... now I'm not so sure on myself. It's seems weird that I feel like this. So unsure of myself over something that, a few years ago, I was strong-minded about. And in some cases, changing your mind is the right thing - you learn new things, you mature and you try and be a better person for it. When I was a child, like most kids, everything was black and white. Right and wrong. It was so clean-cut. But as we grew up, the line blurred between them and it all got tangled and messy. And when we were kids, it was so easy for us to say "That's wrong. Stop that." whereas now as an adult, we're more shy about it. We're more quiet about speaking out, especially when the other person is, for one reason or another, more powerful or louder than you. So, how did you do it, Martin? How did you stand up and call out injustice, even when the world was trying to disagree with you? What makes you remain standing out and continue to say "No, this is wrong"? I ask this as over the past few years, the world feels darker somehow. Things happen and it feels so out of anyone's control that to have a person say "This is wrong" or "I've made a mistake and I must correct it", it feels like shouting into a void. And I know what you would: one voice can change the world. And I do believe that. But it's hard, sometimes, when you look at the world and you see the evil and cruelty in it. Maybe that's why we have to keep going. Keep standing up and keep shouting into the void. But the world is a bad place, but over time, little by little, it will get better. It will be kinder. I mean, compared to where we were 50 years ago, we're improved so much. We still got a way to go, but we're trying, we're getting there. We'll break that glass ceiling and if we hit it in the same spot, over and over again, someone will break it and won't be scratched by glass. Sorry for my rambling. I didn't mean for this letter to go this way. But writing this (then rewriting it several times over to get the thoughts out right - well, for it to make sense to me!) has oddly been helpful! Thank you. Will try and keep standing and keep shouting.